Let me begin by saying Lansdowne Baptist prays for and stands with all our grieving Jewish brothers and sisters today, following the awful murders at the Tree of Life Synagogue in Squirrel Hill, Pittsburgh, Pennsylvania. We stand with all the victims of domestic violence, today and always. You have our prayers as well. 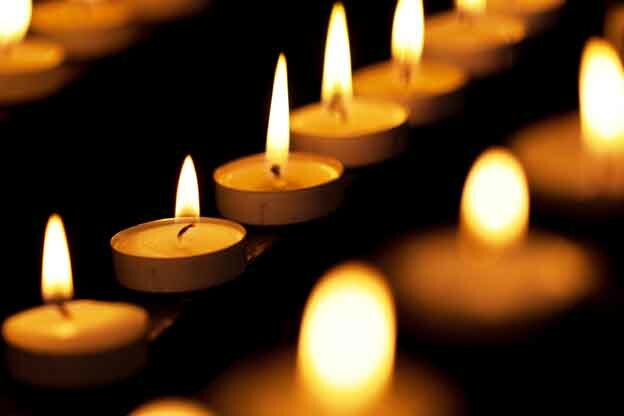 We stand by and pray for all those who have been victims of terrorism worldwide, their families, and their friends. We prayer for and stand by all who have suffered from domestic abuse, today and always. We pray and work toward the day when violence will no longer have any place in our society. We work to temper our speech and actions, so that we might not provoke or encourage those with weak minds and spirits who can be goaded into violence. We ask everyone to join us today and always in this attempt to make the world a better and safer place. We can each do our part to curb violence in our homes and our communities. We can encouraged all of our leaders to do likewise. Sermon for Sunday, October 21, 2018, based on Mark 10:35-45. John and James make a move, trying to become Jesus' right and left hand men. 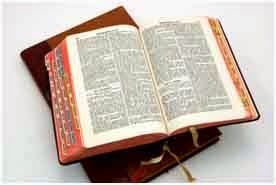 Jesus finds this a teachable moment for all his disciples, both the original 12 and every disciple since. What it means to be great in God's kingdom is the central focus of the message. Watch and find out. 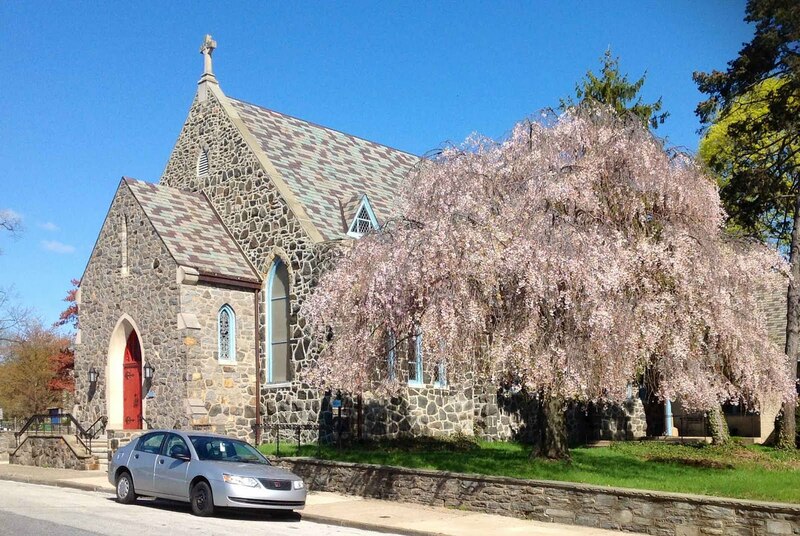 If you like what you see and are close to Lansdowne, PA, come worship with us Sunday morning in the sanctuary. All are welcome. It is well worth all of our prayerful consideration. This could transform our lives if we follow through. 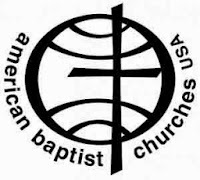 The American Baptist publication, Christian Citizen, has a wonderful article every elected leader and everyone who elects them should consider. It references Psalm 146 as a guide. Here is that psalm for our reference and consideration in light of the story, "'Shine a Light in the Corner'--A Sermon for Faithful Citizens Based on Psalm 146." 2 I will praise the Lord as long as I live; I will sing praises to my God all my life long. 3 Do not put your trust in princes, in mortals, in whom there is no help. 4 When their breath departs, they return to the earth; on that very day their plans perish. 9 The Lord watches over the strangers; he upholds the orphan and the widow, but the way of the wicked he brings to ruin. 10 The Lord will reign forever, your God, O Zion, for all generations. Praise the Lord! 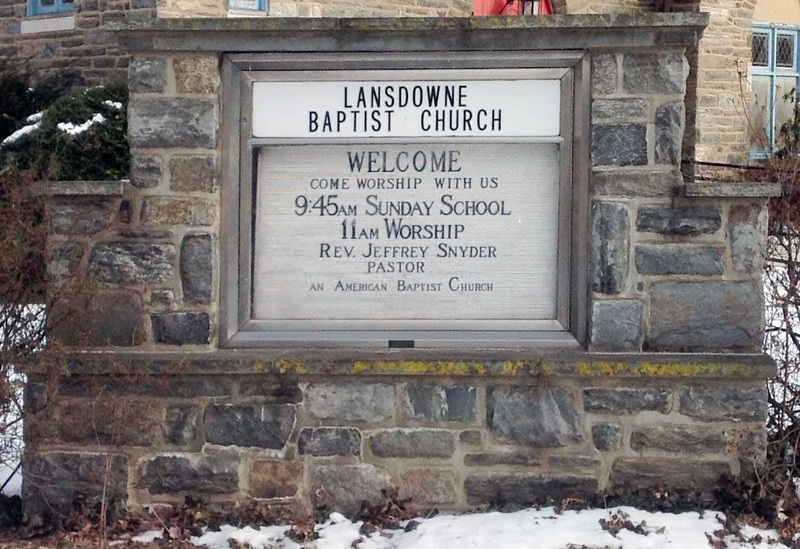 At our last meeting of the Ministerium of Eastern Delaware County, a gathering of the pastors of local churches in and around Lansdowne of various denominations working together, a representative of the non-partisan VotesPa.com organization met with us. She is intent on supporting and promoting democracy through voter participation. She supports neither party, but wants each and every voter to exercise their civic duty and right to vote, unimpeded and in every election. She gave us material with compelling, and completely non-partisan, reasons why Christians should vote; she knew how to reach a bunch of pastors. I want to pass that information along for your prayerful consideration. In any democracy, Christians have a responsibility to God to vote in each and every election, whether voting for a President, for Congress, or for local offices. There are no small or boring votes. The two greatest commandments, as Jesus says, are to love God with all of our heart, soul, strength, and mind and to love our neighbors as ourselves (Matthew 22:35-40; Luke 10:25-37). Jesus also clearly states that we must pay our taxes to government authorities (Matthew 22:21), no matter how we feel about that personally. Back in Jesus' day, most people had little influence on how those taxes collected would be spent. In today's democracy, we have more power to influence how our money collected will be used ... if we choose to vote wisely. Will it be used for godly purposes--such as helping the poor, the outcast, the sick, widows, orphans, prisoners, the strangers among us, proper stewardship of our planet and all living things--or not. Do we care? If we intend to be Christ-followers, we must. When we are in need, we hope to receive assistance from the government tasked with doing the things we cannot do ourselves, because our money supports that government. If a hurricane strikes, we hope for FEMA relief. We expect all people in need to be cared for, as is commanded in Scripture, and as Jesus demonstrated so well for us all. Examples of these commands in both the Old and New Testaments may be found in Leviticus 25:25, 35, 39; Deuteronomy 10:18; 14:28-29; 15:11; 24:14; Psalm 82:3-4; Matthew 25:35; Luke 14:13; Galatians 2:10; James 2:2-6; and 1 John 3:17-18. Voting to have governmental monies--our money originally--be used to help vulnerable people is one way of fulfilling the Bible's commandments to help our needy and less fortunate brothers and sisters, neighbors all, much as we would hope to be cared for ourselves in times of crisis. If we want the governement to help us when we are in dire need, then we must vote to have government officials who care enough for others, even the "least of these," to help in times of need. Voting is also good stewardship. We are called to be good stewards of this beautiful, precious, and so far singular world and all life upon it. We need to vote for officials who will honor that call to good stewardship as well. In the Sermon on the Mount, Jesus calls all of us to be "salt" and "light" to the world (Matthew 5:14-14), improving the world in all the ways we can. 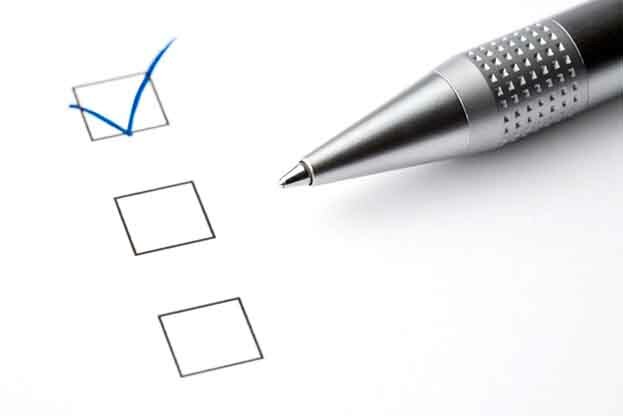 We can do this in a variety of ways, including voting in our democracy for government officials who will do the same. We are called not to be "of" this world, yet definitely to be "in" it--in it to make it a safer, better, healthier, freer place for all. If we do not vote, we are reducing our positive impact on the world. We are giving up our country to the wicked: "When the righteous increase, the people rejoice, but when the wicked rule, the people groan" (Proverbs 29:2). We fail to offer love to our neighbors at the ballot box when we choose not to vote, and the people groan. Why am I, the pastor of Lansdowne Baptist Church, providing this material for your consideration? Because the congregation of Lansdowne Baptist Church loves our community, we love humanity, we love creation, and we seek as best we can to follow the two greatest of all commandments as we humbly seek to follow Jesus. Happy voting, in this election, and every election. It's good discipleship. Reverend Susan Sparks has a wonderful reflection on how to pray for others, even for our enemies. She unfolds her thoughts on praying for others with a story of an encounter with one of God's creatures that she fears the most, a spider ... or an "avocado with legs" as she describes it. Oh yeah, and make sure you read to the very end. Trust me.